This ultimate food drying resource has something for everyone: vegetarians, natural and raw food enthusiasts, hunters, fishermen, gourmet cooks, gardeners, farmers, hikers, and even fast food junkies. With more than thirty years of food drying experience, Mary T. Bell offers straightforward and practical instructions for drying everything from yogurt to sauerkraut to blue cheese, without ignoring traditional favorites such as jerky, mushrooms, and bananas. Throughout, Bell offers nutritional tips and highlights the time-, space-, and money-saving benefits of food dehydrating. Also included are descriptions of how various food dehydrators work to give readers a better understanding of the tools of the craft. 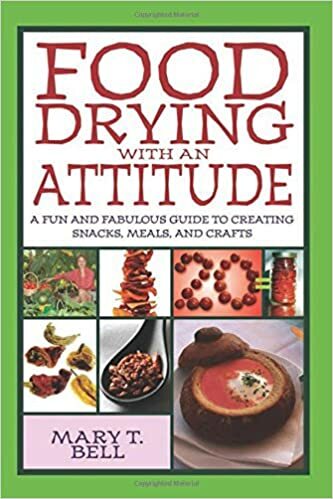 Food Drying with an Attitude gives readers the recipes, instructions, and inspiration they need to get the most out of their home food dehydrators.